A pivot arm awning (also known as drop arm awning) has arms that move outward and down from the roller tube as they pivot from their hinge brackets. This feature allows the awning to be adjusted for the sun angle at different times of the day while still maintaining a view. 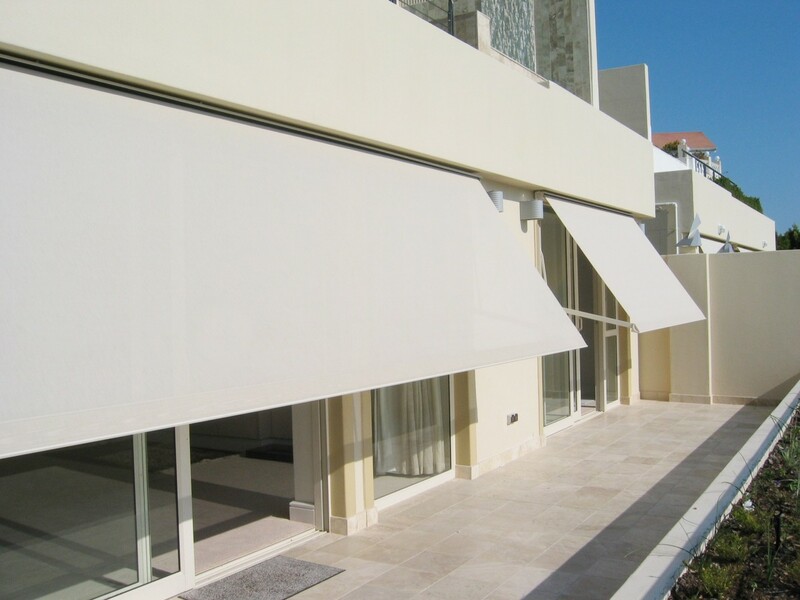 Pivot arm awnings are suitable for windows that face any direction. When the awning is partially extended it provides protection from overhead sun i.e. north facing windows, while still retaining a view to the outside. When the awning is fully extended it covers the entire window and provides protection from sun at low angles i.e. facing east or west. In winter with the awning retracted the window is in full sun. The lengths of the arms are normally made approximately half the drop of the awning, but can be custom made to suit individual requirements. 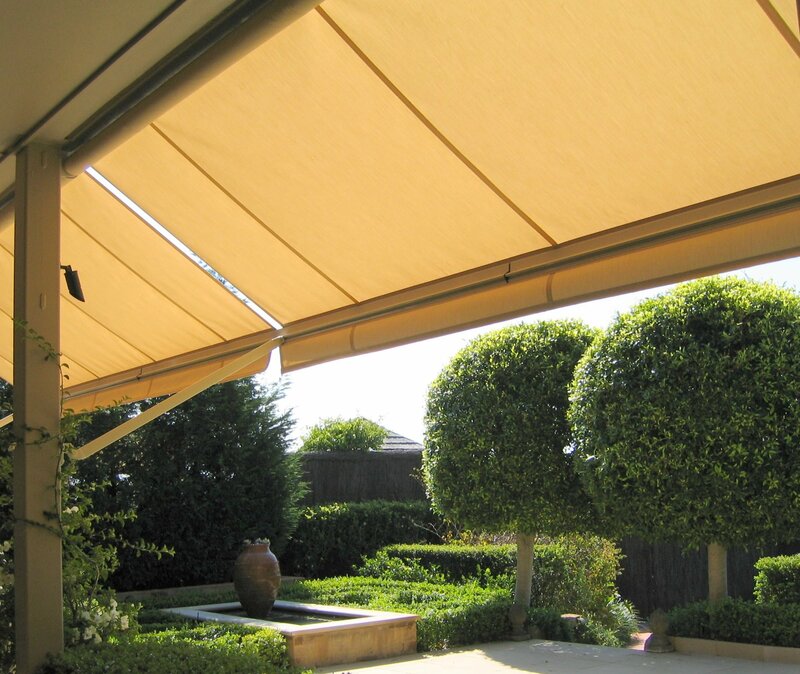 The awning can be made with or without a protective headbox that the fabric rolls back into when retracted. Depending on the architectural style the bottom edge of the fabric can be made with a straight or scallop valance. Alternatively the fabric can be finished at the front bar with no valance to give a contemporary appearance. With tape operation the awning skin is rolled up by means of tape on a spool connected to the end of the roller tube. With gear operation the awning skin is rolled up by means of a crank mounted inside the headbox on the end of the roller tube. A detachable crank handle is used to wind the awning up or down. With the motor operation the awning skin is rolled up by means of a motor mounted inside of the roller tube.